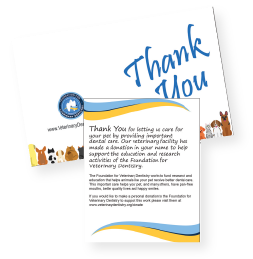 Thank your client and support the Foundation for Veterinary Dentistry! 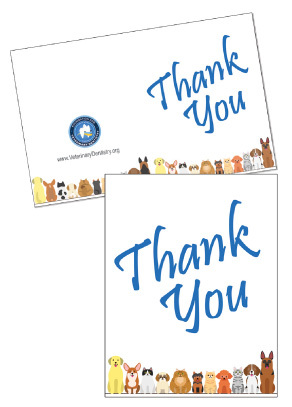 By purchasing these Thank You cards you are supporting the education and research activities of the Foundation. Your support for the FVD is used to provide dental education opportunities for veterinary students in the US, Canada and the Caribbean and research in veterinary dentistry funded through the FVD. 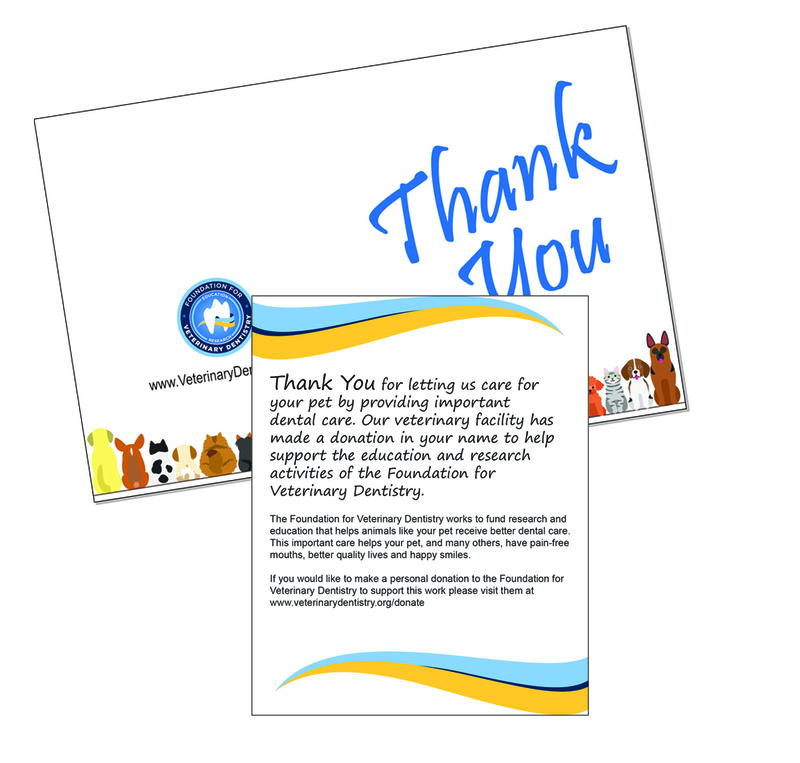 Purchase your FVD Thank You cards today!